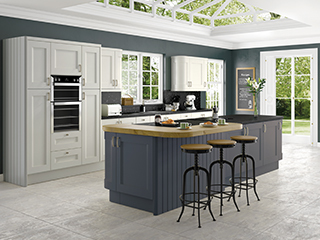 Here at KitchenWorld, we ensure the best for our customers and strive to get them the best outcome for their kitchen. 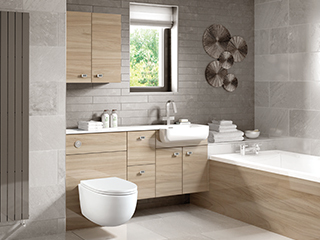 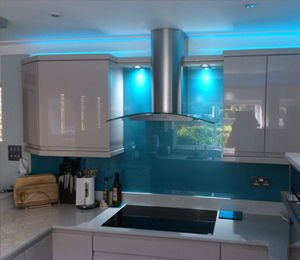 Working with our customers, we make sure their kitchen is exactly what they're looking for. 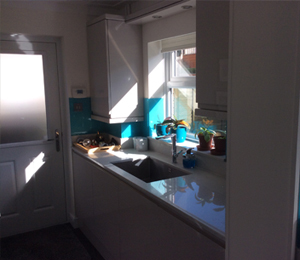 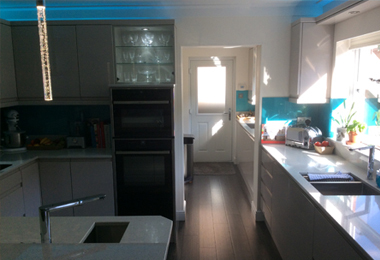 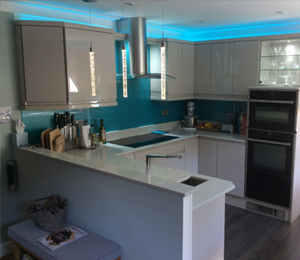 For this kitchen design, we utilised the blue layout of the kitchen and installed blue lights on top of the cabinets. 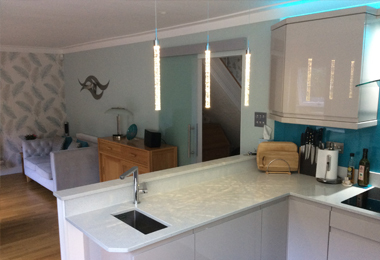 With the white marble work tops and the glossy white cabinets, this kitchen has been updated with a brand new modern look.